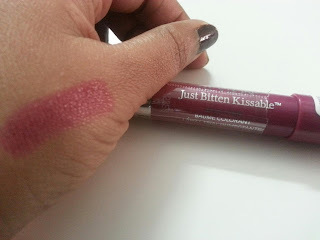 By now you all must be well acquainted about me wholesomely and truesomely obsessed with lip stuff. 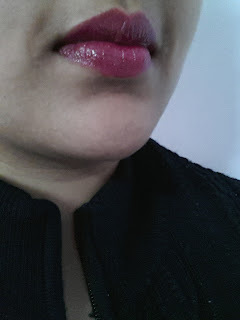 I just can't get the kind of gratification I get after buying a lip product for myself. 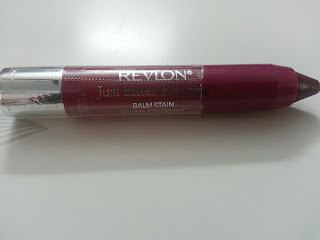 AND .....latest addition to my make up collection is Revlon just bitten lip balm stain. I bought myself Smitten eprise..Quiet unusual shade but I really love it. Packaging is pencil type and revolving from behind. It is somehow imitation of Clinique's chubby sticks. Going Ahead .........This is how it looks on my lips. Yes it do stain lips effortlessly!! Non drying Which is problem with many stain like lippers rather it is moisturising I will say.. It stains lips and stays on for good number of hours!! 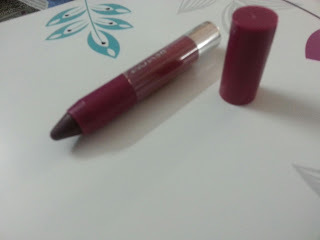 I am eyeing on shade HONEY,,,Ha Me and my addictions...will swatch it once I will have it!! Till then love you guys tonnes.